Summer is almost here, and now is the time that many parents will be talking with their child about summer sports programs. For the child with baseball posters all over their walls, their summer sports program is probably already established. Baseball is probably all they’ve been thinking about all spring! But for many kids (including younger kids who don’t yet have an obsession with a particular sport), it might still be up in the air as to which summer sports program they’ll be engaging in Lyndhurst. If your kids have never tried martial arts, now might be the time! 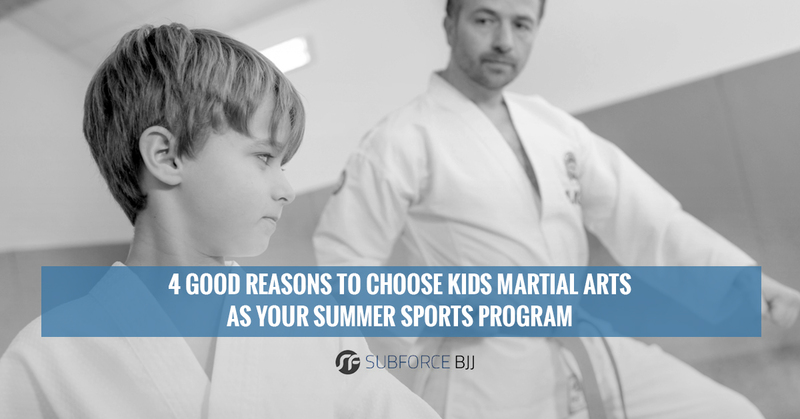 Let’s take a look at why you might want to consider kids’ martial arts classes for your child as their summer sports program. One of the best parts about kids martial arts class any time of the year is that it boosts children’s confidence. Learning a new martial art gives kids confidence and inner strength. And the outer strength can give them even more inner strength! Since kids are often changing schools — preschool to elementary school, elementary to middle school, middle school to high school, etc. — it can really throw them for a loop as they meet so many new kids. They might be scared to switch schools. And if their first year at the new school doesn’t go well, they can end up dreading heading back after summer. But when kids engage in martial arts over the summer, they’ll get more confidence and be ready for the school year ahead, whether they’re changing schools or not. LIt’s a good thing we know about the dangers of skin cancer in today’s world. And while it might be a big hassle to put sunscreen on kids every time they go outside, it’s calming to know that we are helping our children have a healthier future. While it’s nice that many of the summer sports programs get kids outside, it’s just one more time that they’ll have to get all slathered up. After all, they’re going to be heading to the pool (and to the backyard) enough to get a healthy dose of vitamin D. Kids’ martial arts classes are one summer sport for which they won’t be needing unabsorbed sunscreen on their faces and arms. Yes, it’s nice when kids get outside, but in addition to the sunscreen they’ll be needing it’s also important to think about the heat and humidity that we can experience around here. Kids who have spent so much of the rest of the year inside can get pretty thrown if they jump right into a physical activity in the middle of summer. We keep the temperature in our martial arts school at just the right temperature so that kids can still work up a sweat but can also stay cool, avoiding heat stroke all the way. There’s always plenty of water nearby! You know what? Who says that kids have to only be in one summer sports program? Sure, they can have baseball or soccer, but our martial arts for kids can make a great add-on if you’d like to keep the kids off screen and ensure they get a big more active. Now’s a great time, because our curren’t off is $49 for the first four weeks, and that includes a uniform! Alright, it’s time to get your kids active and make those summer plans. Find out more about our kids martial arts class here. Want to find out when they are? Click here to see our schedule and find out how it works into your summer schedule. We look forward to hearing from you!